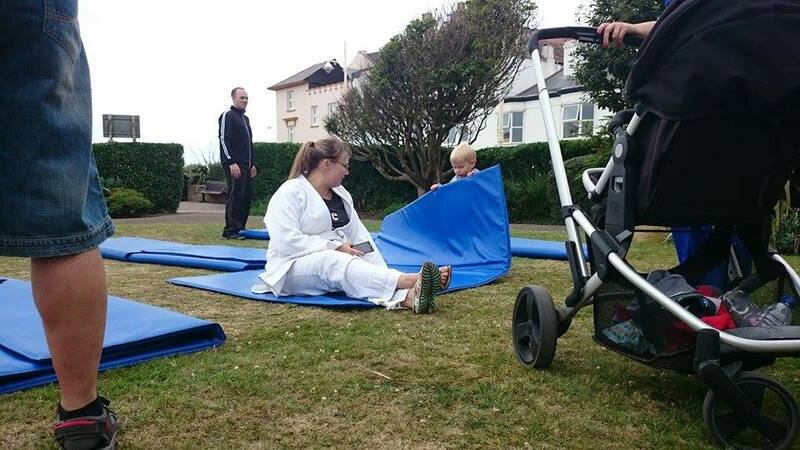 These demo's were organised and led by Sensei Natasha Hadwick, who is the club junior instructor. 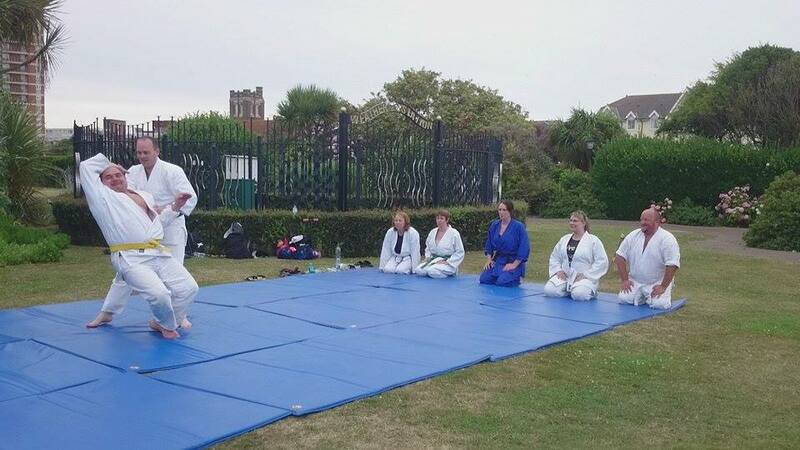 Sensei Robin Wilden, who is the adult club instructor also took part. 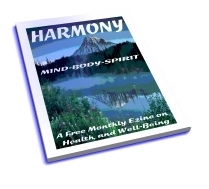 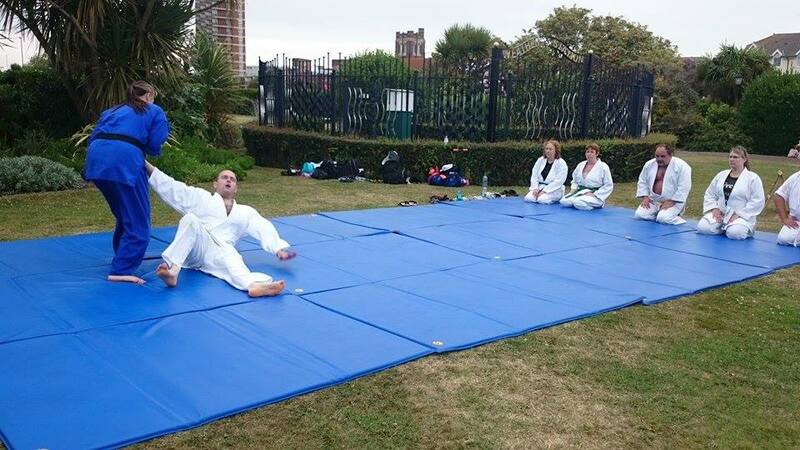 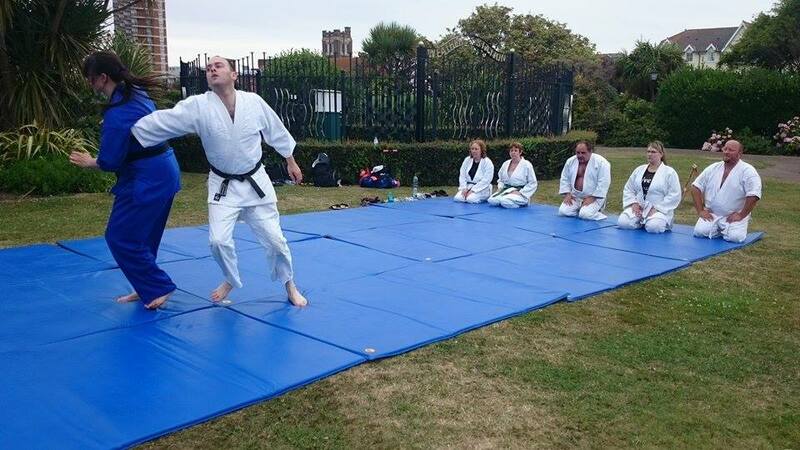 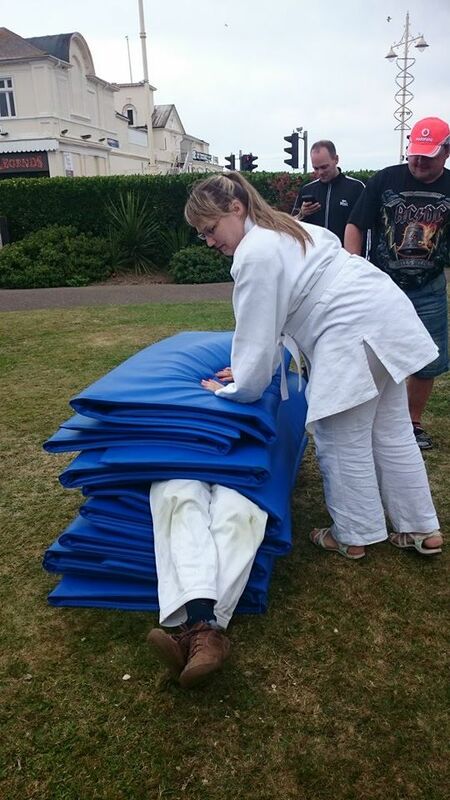 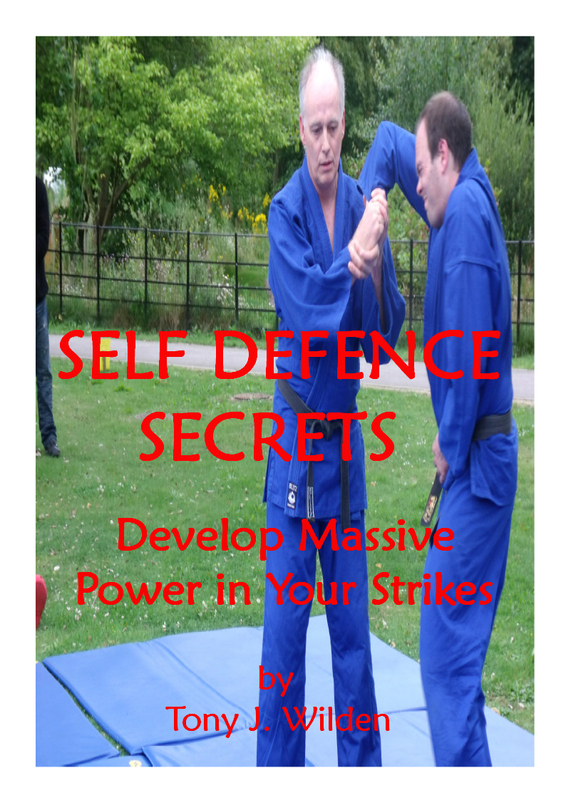 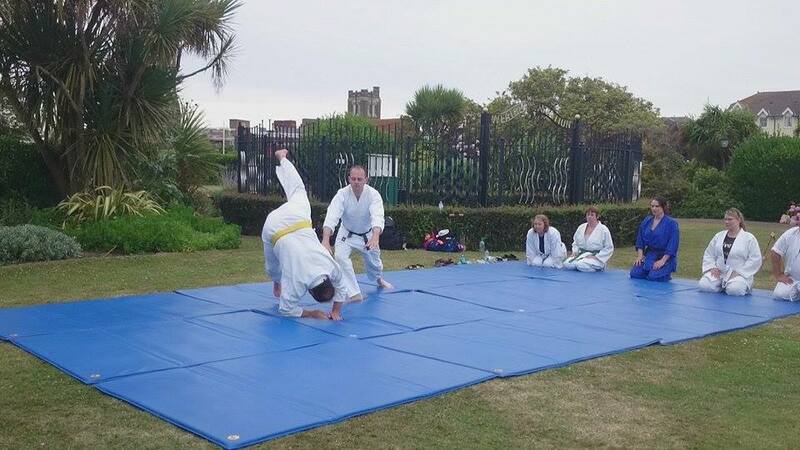 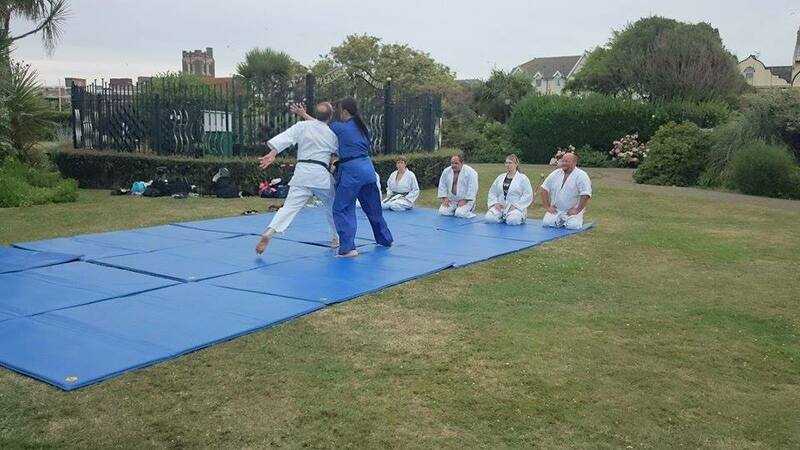 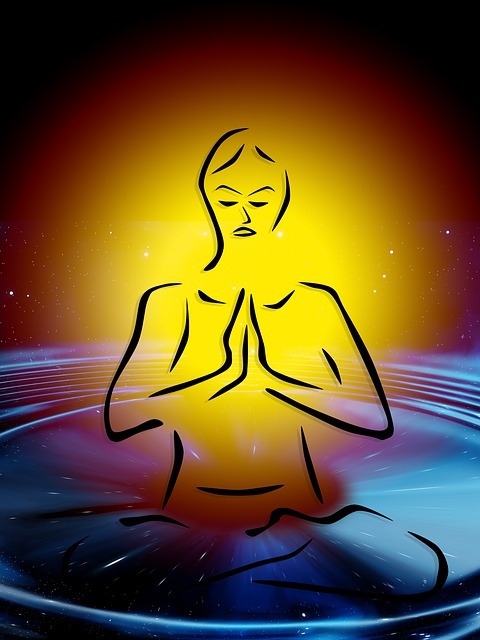 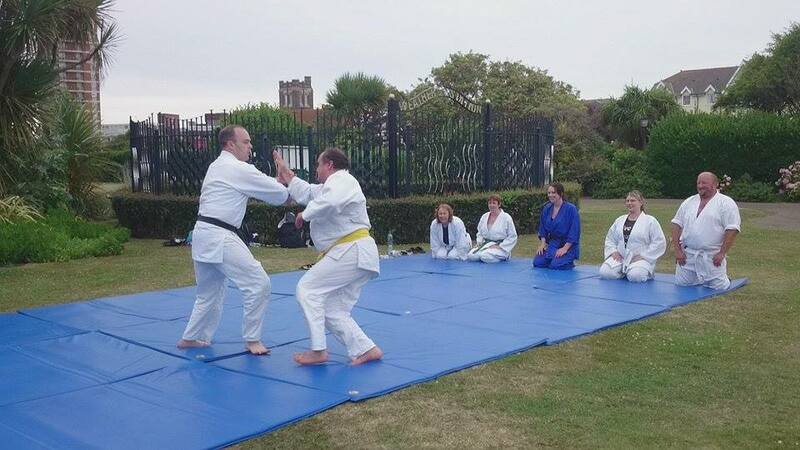 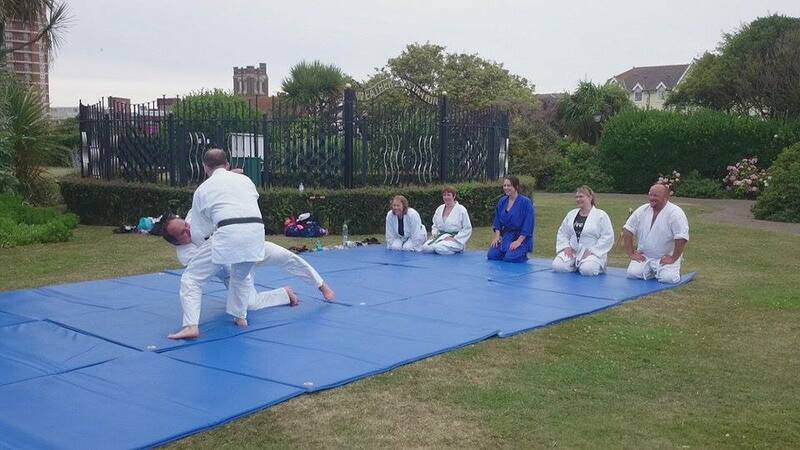 The Bognor Birdman Rally aikido demo 2015 takes place to support the event. 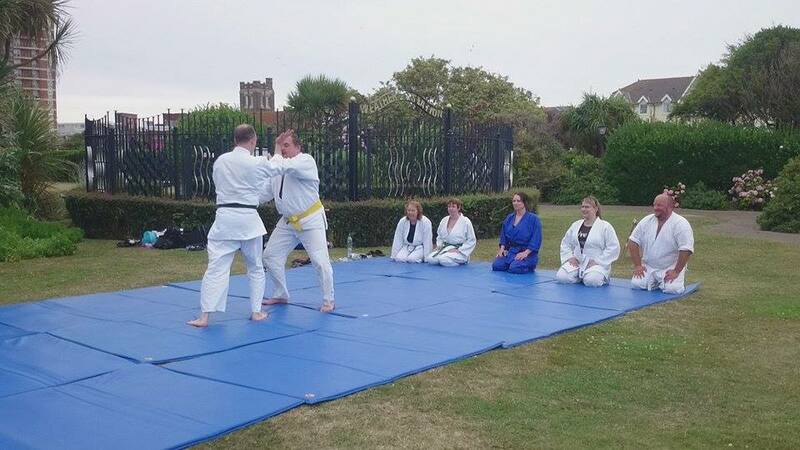 Many local groups take part to help attract 1,000's of people to Bognor for weekend celebrations. 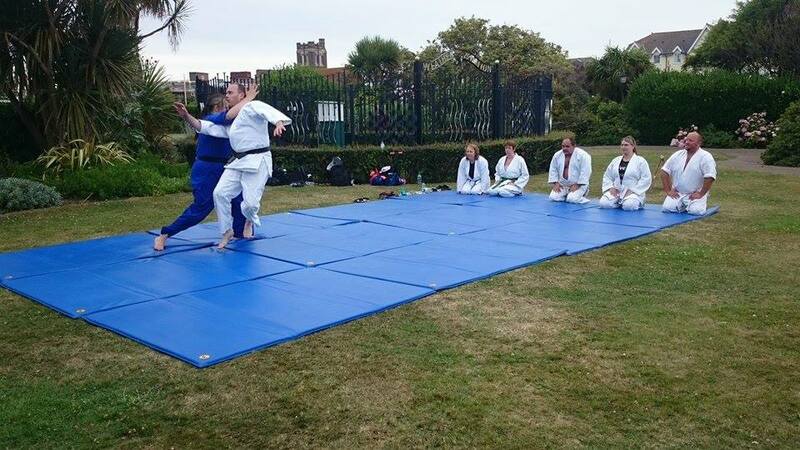 The Arun Aikido Club gave their first demonstration at the Birdman Rally in 1992, and have taken part several times over the years. 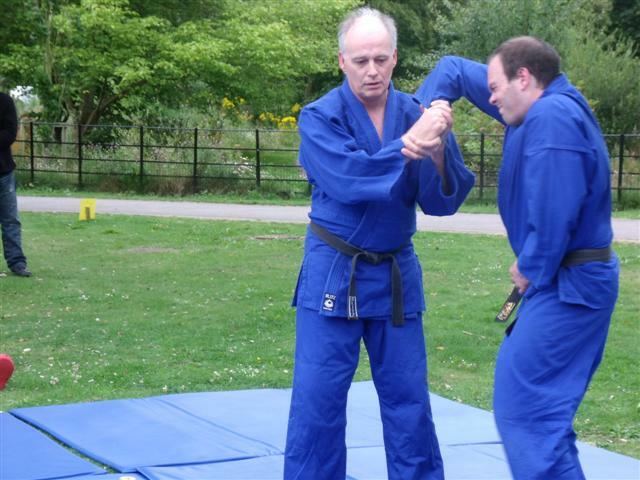 Thanks to Arion Gadd for taking the following pictures. 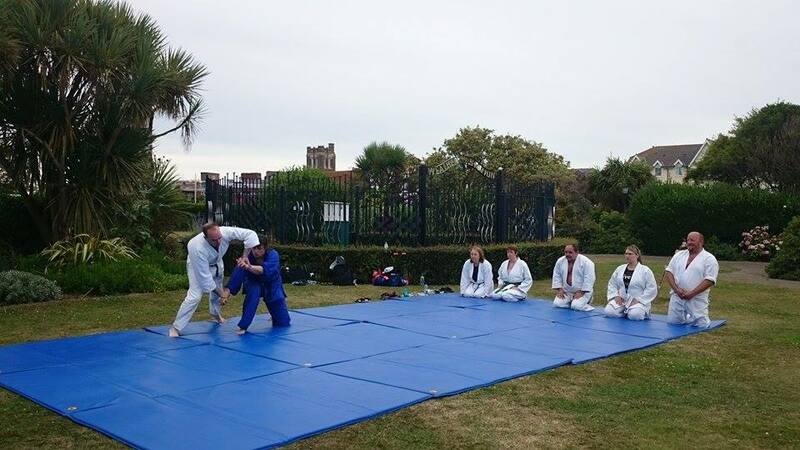 Sensei Natasha Hadwick, Sensei Robin Wilden, Josephine Wilden, Samuel Wilden, Charlie Powell, Arion Gadd, Joseph Dorrell, Kate Jackson, Roman Penzes, Vilma Lazareviciene, Sebastian Skerka, and Leo Hadwick.